A film historian, curator and researcher, Nico de Klerk’s professional interests lie outside the typical film canon. During his student years, he “roamed a bit initially” before receiving an English degree at the Leiden University and later obtaining his Master of Arts in Discourse Analysis at the University of Amsterdam. His interest in film came much later, and “it came with a vengeance,” he notes. Building up his expertise with volunteer stints at Amsterdam art houses and Skrien magazine, he eventually settled at what was then called Nederlands Filmmuseum (now EYE): “Because of the museum’s programming, I developed an interest in early cinema, nonfiction in particular – that is what made me want to work there,” he says. His role as the institute’s first Collection Researcher was in keeping with the museum archives’ mission at the time: “the philosophy was that the archive’s perceived weakness, i.e. its lack of canonical and other titles that show up in every top 100, could be transformed into its strength.” He notes the works of programmers Eric de Kuyper and Peter Delpeut, who screened series of unknown materials from such silent film-era directors as Yevgeni Bauer, Franz Hofer, Alfred Machin and Leonce Perret, as well as expedition films of the 1920s and color-film tests of the 1910s. “As an archive, I think, we were one of the first in trying to put ‘peripheral’ topics center stage and open it to outside expertise and input,” he says. Proceedings of the 1994 Amsterdam Workshop on early nonfiction. Proceedings of the 1995 Amsterdam Workshop on color in silent film. Workshops, in which groups of 50 to 60 international archivists and scholars were invited to participate in discussions of materials and topics de Klerk researched— such as early nonfiction, colonial cinema, the program format, and advertising film. de Klerk would then create unique programs for the sessions. “That’s when I discovered the power and the effects of programming,” he says. The workshops were also intended to give participants an impetus to incorporate their experiences into their own professional lives. de Klerk’s work on J.C. Lamster, an early filmmaker in the Dutch East Indies, was published in 2010. The 2013 Orphans Midwest Film Symposium will be hosted at Indiana University Bloomington this week. For more information, including a full calendar of events, visit the Indiana University Cinema website. For many years, Dino Everett spent his time as a touring punk rock musician, but in the back of his mind were a love of movies and his grandfather’s stories of the silent films he had watched as a child – films that were no longer accessible. After reading Tony Slide’s Nitrate Won’t Wait in the early 1990s, Everett decided to act on his lifelong interest in film and join the archival field in earnest. Never-ending passion: punk DIY ethos at its finest. In late February, 2013, I had the pleasure of speaking with Simona Monizza, Curator at the EYE New Filmmuseum in Amsterdam, formerly known as the EYE Film Institute. The museum embraces, exhibits and teaches about film on multiple levels. It serves as a space with both permanent and rotating exhibits and there are film screenings daily. EYE is devoted to film archiving, restoration and collecting. Although she has worked with EYE for over 13 years, Monizza’s role with the institute has changed somewhat over the years. After graduating from the Selznick School in Rochester, NY, she worked for one year with the British Film Institute and then moved to Amsterdam to work for the EYE Institute as a restorer. Working as a film restorer her duties were quite diverse. She was in charge of doing all of the prep work for multiple projects. This involved collecting any materials which might have information about a title, comparing different film elements, writing condition reports, deciding the best path to take for a particular project, working alongside the restorers at Haghefilm and overseeing quality control. As there was a flurry of projects going on at this time, she was often overseeing multiple film projects in various stages simultaneously. At this time, both Haghefilm and EYE were located in the same building. She said it was really great to be working side-by-side individuals in this amazing lab. There was one year in which they restored 400 films. Given the copious amount of time and energy it takes for just one film, this is truly astounding. EYE has a large collection of silent, amateur, experimental, animation and mainstream films including the largest collection of Dutch films in the world. Each genre has its own Collection Specialist who works closely with that particular collection. EYE is continuing to add to their existing collection of 40,000 films, which Monizza is directly involved in. 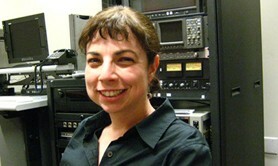 After working as a Collection Specialist, she is now the Curator of the Experimental Film Collection. For film, this involves preserving, collecting and cataloging. If there is a particular filmmaker whose films they want to have in their collection, she will actively go to them and try to get their material. This entails going to their house to check the condition of the film elements, creating an inventory and a contract. There have been many times when filmmakers don’t know where a lot of their elements are or their collections are very disorganized which only adds to the complexity of her role and tracking down crucial bits of information. At times there is a lot of sleuthing involved. Her focus however, is more on film collections not just individual titles. She said this is a very time consuming but exciting process because there are always new and interesting things to be discovered. Other times filmmakers approach her to see if their works can be taken in to EYE’s collection. In addition she develops programs at EYE to showcase these newly acquired films and finds ways to connect people to the exhibits. EYE also has a distribution branch which filmmakers can submit their films to. A jury watches these films once a month and can select titles they would like to integrate into their existing collections. She discussed the difficulty in deciding what to digitize from their collection. “It’s not easy, some collections are easier to digitize than others” she stated, “and the experimental ones offer many challenges in this regard due to their material characteristics.” In order for films to be digitized, copies must be in good condition. Many reversal prints need to be graded, which is another time consuming step that takes place in their lab. EYE is currently not able to scan nitrate or Super 8 films. As they are in many archives, things in the digital realm are progressing rapidly. Demand for immediate access is on the rise and EYE must try and keep up with people’s needs. EYE receives roughly 80% of their funds from The Netherlands’ government. This contrasts largely to how archives are operated in the United States, which rely heavily on grant funding and donations for projects. In recent years however, not as much money has been devoted to restoration projects and more weight is being put on EYE to find their own funding sources. Given that her background is in analog work, Monizza is not as excited about the future of digital worrying that it may replace analog completely. As many individuals do, she feels that there is often more talk about what should be done about the death of film than there are actions being taken to prevent it. As her role has changed over the years and she has adapted, she is certain that she will continue to do so and carve out her own niche in the film world. Her last words of advice for anyone entering this field were to learn as much about the digital aspects of film preservation as possible, without forgetting what film is. “I never really intended to be an archivist,” says Mike Mashon, after recounting his diverse educational background. Mashon, the Head of Moving Image Section at the Library of Congress, received his undergraduate degree in Microbiology from Louisiana State University, going on to pursue a Master’s in the same field at the University of Texas. Working for the Texas Department of Health, he was the first person the organization ever hired to conduct research on AIDS. Yet the longer he worked with science, the less he wanted to make it a career. Mashon’s early involvement with what would eventually become the South by Southwest Festival, as well as his presence on the University of Texas Film Committee, rekindled his long-standing love of movies and television. Earning a Master’s in Radio/TV/Film at Texas, he obtained his Ph.D. from the University of Maryland in 1996, writing his thesis on the relationship between advertising agencies and television networks in the 1940s and 1950s. After serving as curator at the Library of American Broadcasting, he became Curator of Moving Images for the Library of Congress in 1998, a position he held until being named the Head of the Moving Image Section in 2005. At the National Audio Visual Conservation Center (NAVCC), Mashon oversees the cataloging, processing, physical integrity, storage and preservation of film and video, also conducting personnel management and setting goals and budgets for the fiscal year. Mashon also attends National Film Preservation Board meetings, advising on which films will be added to the National Film Registry every year. Although administrative work encompasses the majority of his duties (Mashon jokes he is a “mid-level government bureaucrat”), he is especially interested in outreach and access initiatives, particularly when it comes to the NAVCC’s online presence. Since little moving image content has been added to the Library’s web site in the past decade, Mashon is working to expand the NAVCC’s web presence by creating a blog and making videos about the organization’s workflows operations. He recently acquired an HD camera to start making informational videos about the preservation process at the NAVCC, following a film or tape through the entirety of the preservation process, with the finished product being the film itself available online. Mashon notes that one of the goals of the NAVCC is to provide outreach services not only to the local community but to members of the archival field as well – these informational videos would undoubtedly be an excellent resource for fellow archivists. With the Library of Congress beginning to change its web architecture, it is becoming increasingly efficient to get moving image content on the web. Mashon spoke at length of the NAVCC’s more than 3,000 paper prints, which he deems “the crown jewel of our collection.” Paper prints were used to establish copyright in the early days of cinema, between the years 1894-1912, and Mashon notes “[you] can’t really write a meaningful history of American film without referring to the paper prints.” A number of the films in this collection have been transferred to other formats (16mm, 35mm), but only 500 of them – scans of 35mm reprints from the 1990s – are available online. Mashon notes that the only way a person would be able to view the remaining 2,500 prints in the collection would be to go to Washington D.C. – his goal is to eventually have the entirety of the collection scanned for access, using technologies such as the MWA Vario to scan 16mm negatives in real-time. Although the resulting files won’t be subjected to much digital cleanup other than speed correction, Mashon notes that the convenience of researchers not having to travel to D.C. makes this a worthy endeavor. For those interested in film archiving work, Mashon advises that archivists starting out in the field need to be comfortable with digital technologies and metadata, as opportunities to use preservation experience skills will shrink over time. Many of the NAVCC technicians have degrees in library science rather than film preservation, emphasizing the importance of well-rounded skills. Mashon remarks that while the physical work of film preservation requires no small amount of skill, cataloging conistently proves to be an enormous challenge. Thus, a library science background will come in handy for the important task of information management. Regarding the future of film preservation, Mashon remarks that he is slightly optimistic despite the inevitability of film stock production ceasing. He would like to see the creation of digital cinema packages at the NAVCC, noting that, while continuing to make prints would be ideal, only a handful of facilities would be able to screen these prints in the future. One example is that of significant film-print restorations the NAVCC has undertaken, for films such as Baby Face and All Quiet on the Western Front. While Mashon would like for audiences to be able to appreciate these films on the medium for which they were intended, he does not want to deny access to those facilities that may only be able to screen digital cinema packages. “If you’re not going to make it available to people as widely as possible – you’re just going to shut it away in a dark archive – there’s hardly any point in doing it,” he adds. Greg Wilsbacher is the curator of the newsfilm collections at the Moving Image Research Collections at the University of South Carolina. He earned his a PhD in British Literature from Indiana University, Bloomington. His major area of focus was late fourteenth century vernacular poetry with a special emphasis on William Langland’s Piers Plowman. Wilsbacher’s dissertation explored the ethical nature of reading medieval poetry within the contemporary setting of the university at the turn of the millennium. After receiving his PhD, Wilsbacher was a Visiting Assistant Professor at the University of South Carolina’s Department of English. He taught, “the types of English courses that most faculty teach.” He also served as the Assistant Director of Undergraduate Studies. Wilsbacher began working at the University of South Carolina’s libraries in 2002. He began at the libraries with the intention of working as a Rare Books Librarian. However, library administrators asked him to take over the Newsfilm Library and begin the task of making the unit into a special collections library. 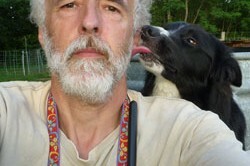 So, from 2004 to 2009 he served as Director of the Newsfilm Library. In 2009, Wilsbacher became Curator of Newsfilm Collections at the Moving Image Research Collections (MIRC) when the university reorganized the film archives to reflect the growth of collections beyond newsreels and television news. The Celeste Bartos Film Preservation Center, located in Hamlin, PA, opened in 1996. Katie’s position as Film Collections Manager has her managing “the preservation pipeline, supervising the preservation Center in Hamlin PA, collaborating with other FIAF archives [International Federation of Film Archives, of which MoMA is a founding member] on preservation…” as well as managing non film related materials. After handling film at the Harvard Film Archive where she worked for eight years, Katie attended the Selznick School at the George Eastman House in Rochester, New York. She has since worked at The Museum of Fine Arts in Boston as a projectionist, at the Harvard Film Archive managing the Cinema and archives, at the Jacob Burns Center as Director of Operations, the IFC Center managing the theater of operations, and, presently, MoMA. Katie made it clear that she “was and still [is] an archival projectionist.” She credits the handling and the projecting of film at the Harvard Film Archive for her love of the artifact that is film and it is where her desire to “take care of it” was formed. As a member of the museum culture, she is but one person in the Curatorial Department. In a large institution such as MoMA, inter-departmental collaboration is essential. The acquisition process in a museum archive is also different from other archives. Films are often sought out by a curator or member of the curatorial department, researched, and then pitched to the Curatorial Board where they discuss whether or not the film fits in to the current collection and/or the future direction the collection would like to go. If it is, the museum makes plans to acquire it. In an institution like MoMA, there is a mission statement to follow and an image to consistently project and, because of this, they may be more selective about the films they take and also about the films they prioritize for preservation. My interview with Katie was very informative regarding how museums, specifically art museums, view film and the archive/preservation of that film. For them it is not only the content of the film which is significant to cultural artistic heritage and movie history, but also the film itself, as an artistic and creative artifact that belongs to a unique form of artistic expression. Certainly this is the case for other film archives, but perhaps a film archive located in an art museum, especially one with the reputation and legacy of MoMA, has the ability to see beyond the “film” as something that is only important because of the moving image it contains and more as an artistic medium that in itself is culturally important and worth saving. “Film Preservation Center.” MoMA. Museum of Modern Art, n.d. Web. 31 Mar. 2013. My primary job is to conduct applied research focusing on providing new preservation strategies for cultural materials, mostly information-recording media such as films, microfilms, photographs, magnetic tapes… This includes identifying a problem, designing a research project to address the problem, developing a proposal and applying for funding, conducting the research, and disseminating findings by providing preservation strategies to museums, archives, and libraries. Since I started at IPI I was fortunate enough to be able to go from one project to the next, and often dealt with several at the same time. What I do is a mix between conducting experiments, field surveys, data analysis, and providing education. For a number of years, I have also provided guidance to interns who come to IPI through the AMIA and Selznick School of Film Preservation; these internships are designed to provide insights into preservation research; I personally learn a lot from the interns and hope they learn a lot during their stay. All of them have contributed in various ways to the work we do at IPI. I didn’t realize it at first, but in fact, the different parts fit well together to support my current activity. Chemistry, team work in the corporate world, studies in photography, museums and archives experience, studies in conservation and preservation of photographic materials, and the last twenty years or so working at IPI help a great deal to do what I do. [The end of film production] doesn’t mean that film preservation is dead, on the contrary. Film-based collections are numerous, and most importantly are irreplaceable. Today, preserving original film materials is even more critical for a couple of reasons. First, there is so much knowledge recorded on photographic film that reformatting most of it is daunting at least, and most likely an impossible task. Second, in many situations, viewing the original materials will still be the only way to appreciate the material. So, in both situations it is, and will be, an important task to make sure that these original objects survive as long as possible. To contrast that idea, I would say that most have no problem with the strategy, which consists in reformatting magnetic media as a preservation strategy. The old idea of preserving/restoring film using film media will have to be entirely abandoned at some point. People watch movies today in so many formats and venues. But many film collections will still be around if kept properly. Not really, because as I said above, it is even more important today to do the best we can to preserve film materials, and movies in particular, in their original formats. Regarding film preservation today, my role, and IPI’s role is to make sure that what we have learned during twenty years of research is used, i.e., applied in the field in one form or another. In other words, I don’t think that we have to spend more money on research per se, but rather make a special effort to communicate and develop new tools. That is the idea behind the project I am working on right now. IPI receives funding from NEH to develop a web-based tool for film preservation: www.filmcare.org will be an educational but also a film preservation management tool. As I say often, preserving film is not only about film. Film archivists are responsible for many other materials, i.e., posters, publications, letters, scripts, stills, DVD, tapes… so the more you learn about other media and how to care for them, the better film archivists you will be. Based in the East Village of Manhattan, the Anthology Film Archives has long held a place in the hearts of cinematically inclined artfolk. With holdings comprised primarily of avant-garde and experimental art film, Anthology has evolved from its original conception as an experimental museum of film to a well-regarded, more traditional archive, with weekly film screenings, a reference library, preservation activities and a healthy dose of community outreach. I recently spoke with John Klacsmann, one of the professional film archivists at Anthology, about the background necessary to pursue a career in film archiving and the future of the field in the face of increasing/encroaching digitization. One of the first questions that came to mind to ask Klacsmann was how he came about film archiving. As a current student in the Archives Specialization at the IU School of Library and Information Science, it seems as though the obvious route of getting a degree in archiving and then maybe a degree in film studies would not leave you very well prepared. For example, at SLIS there is only one class directly related to moving image preservation and regardless of how amazing a single semester is, it can’t set you up for a lifework in film. Klacsmann backed up this original assumption when providing his educational and professional background. While he stressed the importance of archiving best practices: planning preservation paths, processing new materials and collections and the overall attention to detail and minutiae at hand in archival organization, Klacsmann was also very clear that the skills he thought most essential and, perhaps for analog fetishists, under-appreciated were computer science related. In fact, though Klacsmann says he knew he wanted a career in film archiving science he began his undergraduate career, he choose to get a bachelors in computer science and receive much of his hands-on film experience at the time through working in his university’s film and media archive. The Anthology Film Archives building in the East Village. 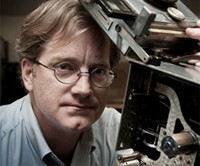 Although he has worked on projects like a 35mm film preservation project for the Eastman House at Technicolor Hollywood and with a collection of historical Technicolor dye-transfer equipment, Klacsmann says the skills he gained in pursuit of his computer science degree (playing with databases, filesystems, and building servers and RAID arrays, etc.) have become increasingly valuable as film archiving, in his experience, moves away from storage possibilities for physical materials and towards a digital future. These types of [computer] skills are becoming increasingly important within the archiving field as digital restoration techniques take over and digitization and seamless video access to collections are on everyone’s mind. I wouldn’t necessarily promote public screenings as the only or primary form of legitimate access. The ease and affordability of digitization, as well as internet connectivity, have come a long way in recent years. Being able to provide access to a worldwide audience through the internet – an audience much larger than only those who are able to visit us in New York City – is something we are tackling at Anthology now. We are planning to launch an online collections website this year where people can explore large portions of our collections – videos, photographs, audio, and documents – online. Though Anthology Film Archive and the aforementioned digitization work expressed by Klacsmann represent a sort of financial solvency that is perhaps not the norm in the world of media archiving, the prophesied ability to combine daily public screens, access to reference materials, preservation and a publically accessible online collection is something of a dream scenario. The work of younger archivists like Klacsmann who have a knowledge and a certain comfort level with new technologies, while still retaining a love and respect for analog materials, will hopefully continue to shape moving image archives into more and more accessible institutions.